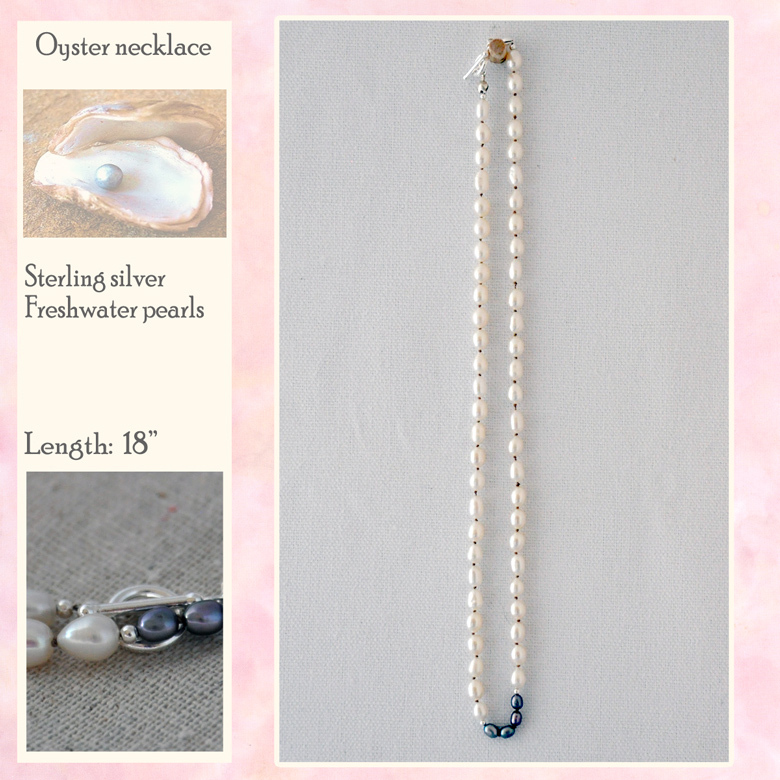 There is some irony in naming a freshwater pearl necklace "oyster" because oysters have no part in the production of freshwater pearls! (They come from mussels.) However, I like the oyster as a reminder that exteriors are not indicative of what can be created on the inside. 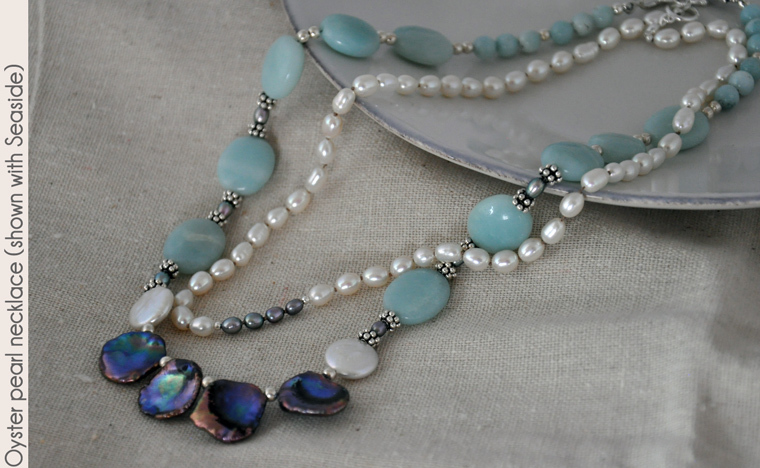 These rice pearls, like most cultured freshwater pearls, come from China where they are farmed along the coast. 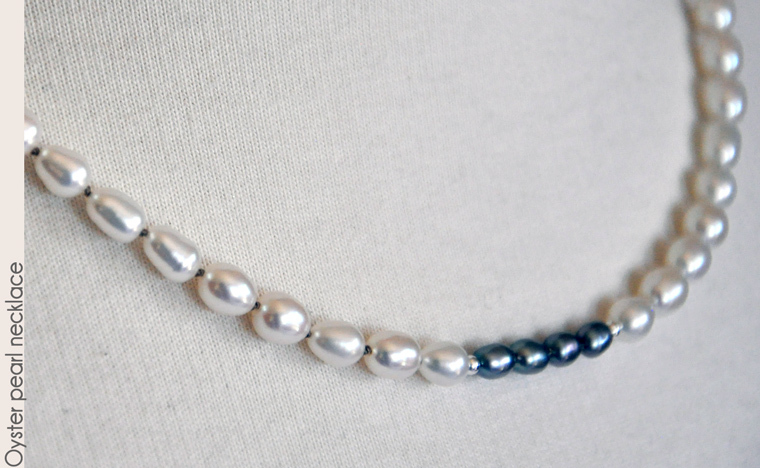 The four pearls in the center are dyed to resemble the color of "peacock" pearls, a gem trade name given to the color of black pearls from the South Pacific. The silk thread is hand-knotted in the traditional style between the pearls to provide outstanding fluidity and drape in the necklace. 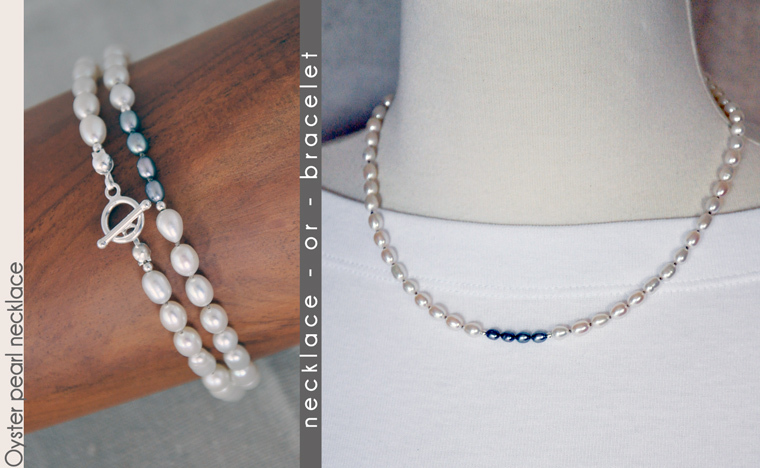 The necklace can be doubled as a wrap bracelet, though the fluidity means it can easily slide off the hand as well. Care & cleaning: Silk thread may be frayed or severed through prolonged exposure to rough or sharp edges; store necklace flat when not in use to prevent stretching or fraying thread. Clean with warm soapy water and avoid chemical or abrasive cleaners. Use a soft jewelry polishing cloth to clean tarnish appearing on silver. Sustained pulling on the silk thread can stretch it and distort the spacing between the knots so it's recommended to keep this out of reach. As with all beaded jewelry: do not let young toddlers chew on it. 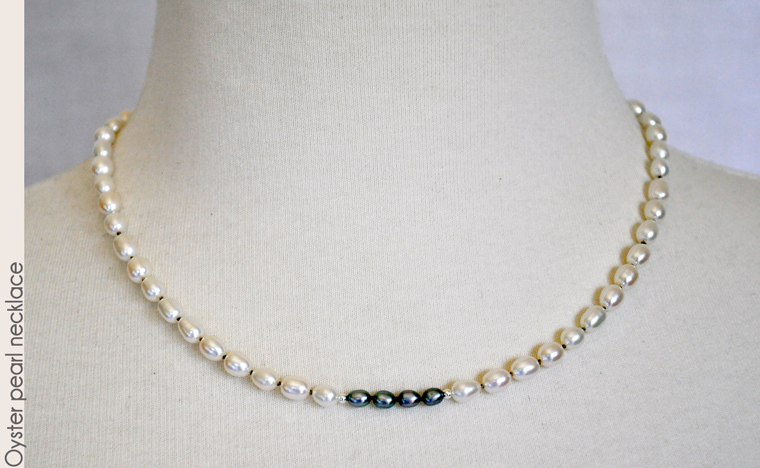 This 18" necklace is a classic style that can be worn with most outfits.